Photos don't do this pen justice! 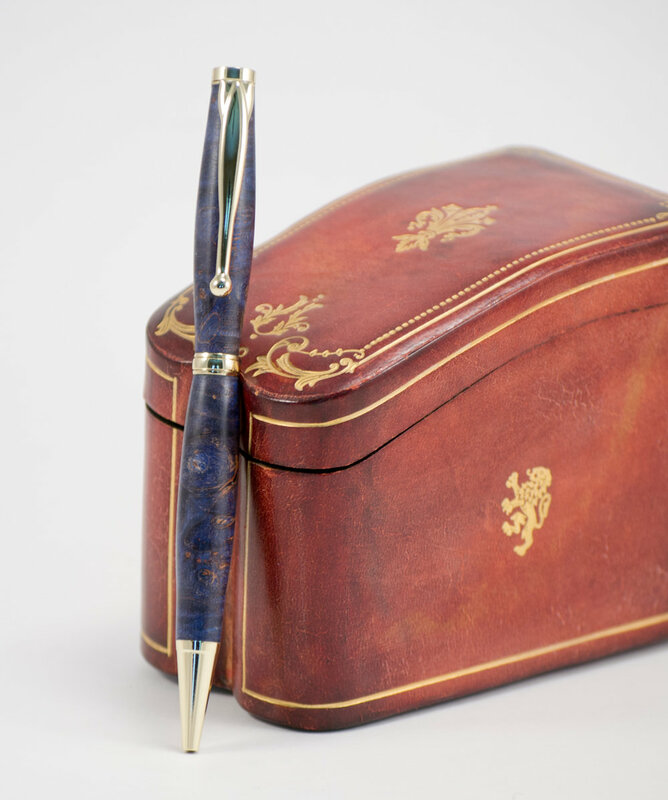 This pen is made from maple wood that has been infused with a blue dye, giving it a unique and stunning swirling texture of blue mixed with the natural color of the wood. Unlike many of my other pens, this pen is finished with a shellac-based friction polish rather than acrylic. This allows the pen to retain the feeling of wood rather than the plastic-y feel of acrylic. The matte finish is still quite durable and feels wonderful in the hand. 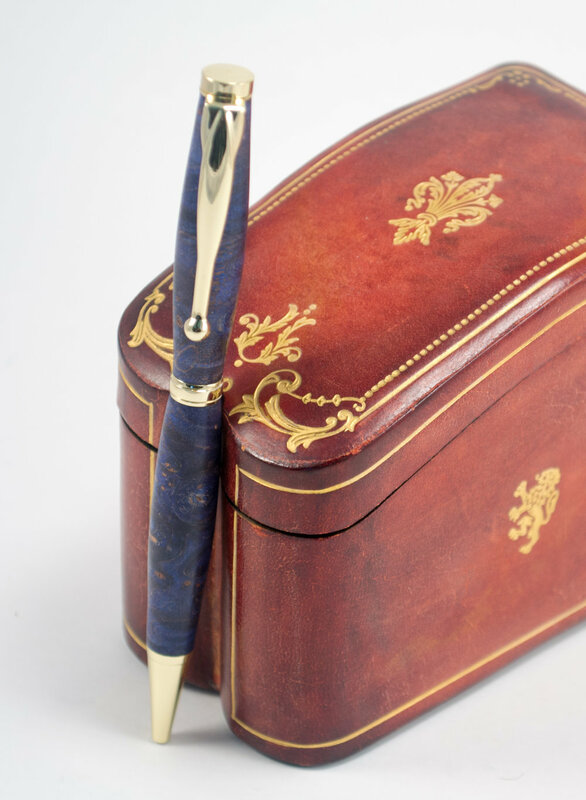 The metal hardware for the pen has a beautiful gold finish to it, complementing the blues of the wood and giving the pen a refined, stylish profile. The pen is refillable with a "Cross"-style ink refill, available at most office supply stores.